You've heard of yoga for pregnant humans, but elephants can also benefit from the ancient practice of body and mind. 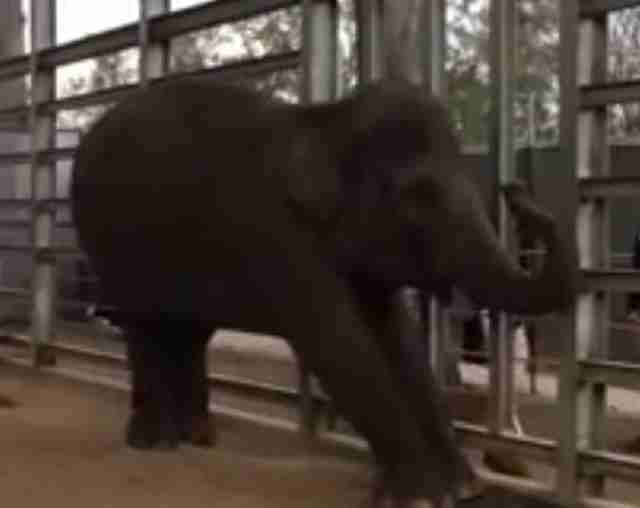 In honor of World Elephant Day, The Guardian posted a video of Num-Oi, a pregnant elephant at the Melbourne Zoo, who was filmed doing some exercises to ease the pain of her 645-day pregnancy while in captivity. Elephants are some of the smartest animals around, so spending such an emotional time behind bars can be especially tough. We wanted to hear an expert's thoughts on the benefits of this exercise, so we asked journalist Carol Bradley, author of "Last Chain on Billie." "I would imagine any exercise is a good thing for a captive elephant. Ideally she would have the freedom to walk many miles on the ground, not concrete. But given her captive situation, I'd say these keepers should be commended for encouraging her to perform these movements," Bradley told The Dodo. 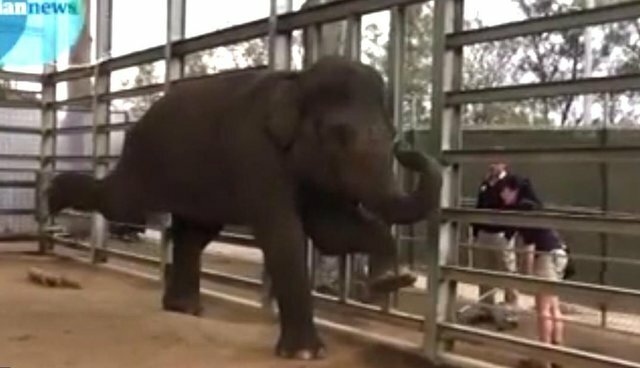 "They're using protected contact, which means this elephant is choosing to stay near them," she explained. "At the Elephant Sanctuary, the use of target training has taught the elephants to present different body parts (often needed for examinations) in exchange for treats. 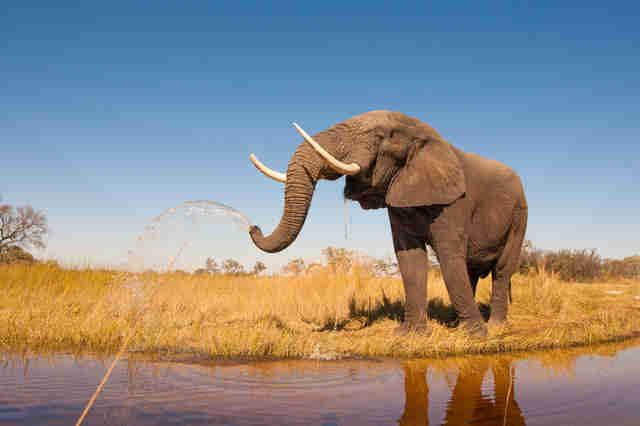 It's done in a positive way, so the elephants really enjoy it, including Billie, the elephant I wrote about." Hopefully, this yoga helps calm the elephant from the stress of raising a baby in captivity. This particular elephant has already faced trauma in her life. "...Num-Oi was artificially inseminated in August following the death of her calf Sanook, who got stuck in a tyre," reported The Age. Elephants don't belong in captivity; They belong in the wild. These beautifully smart animals have been known to mourn their family members, recognize themselves in the mirror and they have very complex means of communicating with each other. While yoga won't bring Num-Oi and her newborn back to the freedom of the wild, it will hopefully bring both of them to a zen place in her mind, even if she never gets the real thing. To you, Num-Oi, we say "namaste." Elephants aren't the only animals getting in on yoga. Here's a studio in Illinois which offers yoga for cats. UPDATE 11:00 a.m. 8/13 -- This piece has been modified to reflect new information about Num-Oi and elephants in captivity.